Mining for cryptocurrency involves verifying and adding transactions to a public ledger referred to as blockchain. If you have access to the internet along with the right kind of hardware, you can start mining cryptocurrency. The process basically involves trying to solve a puzzle that is computationally difficult while also compiling recent transactions into blocks. If you succeed, you’re rewarded with newly released cryptocurrency as well as possible transaction fees. When cryptocurrencies first came into being, mining them was possible using conventional central processing units (CPUs) of regular desktop computers. Graphic processing units (GPUs), or graphic cards, were more effective at mining, which is why their use gained more popularity. 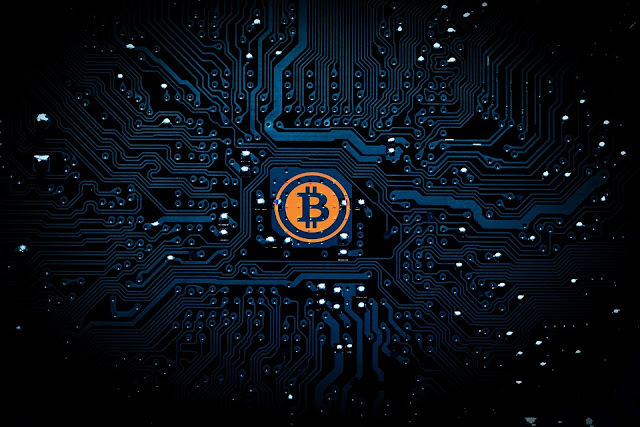 Next in line was the introduction of hardware referred to as Application-Specific Integrated Circuit (ASIC), created especially for mining cryptocurrency. ASICs have been around since 2013, and their efficiency has improved considerably since then. If you end up using a conventional CPU or GPU or even an old older ASIC, the cost of energy consumption will be more than the revenue you generate. The upfront investment, ongoing maintenance costs, and the mathematical prowess that is required to mine cryptocurrency do not make the process profitable if you stick you using consumer-level hardware. If you look at bitcoin in particular, its mining is mainly limited to large scale operations now. Gav Smythe, founder of iCompareFX, opines that, “A beginner who is looking at mining cryptocurrency stands a better chance with Scrypt-based cryptocurrencies such as litecoins, feathercoins, and dogecoins.” While mining for litecoins is more profitable than mining for the other two as of now, they are gaining in popularity. However, when more people join the rush for mining these cryptocurrencies, you might need more expensive hardware to carry on as before. Mining for cryptocurrency essentially involves working as a bookkeeper for a cryptocurrency network, where your computing device is verifying transactions round-the-clock. You get a reward by receiving fractions of cryptocurrency regularly and your aim should be to keep electricity and hardware related costs to a minimum. Internet connectivity. To mine cryptocurrency, you need a dependable and high-speed internet connection. You should be looking at a speed of at least 2 Mbps and minimum downtime. Private database. Your private database can come in the form of a free password-protected cryptocurrency coin wallet. You will use this not only to store your earnings, but also to serve as a ledger for all network-based transactions. Electricity and hardware. If you live in a region where electricity is expensive, you may want to reconsider your plan of mining from home. This is because the process involves a considerable consumption of electricity. When purchasing mining hardware, keep in mind that you may have to keep upgrading, which can turn out to be an expensive affair. Mining software. If you plan to mine bitcoins, ASIC miners are your only viable options. Some of the ones you may turn to include CGminer, BFGminer, BitMinter, and BTCMiner. Energy production and cooling. If you plan start mining on a large scale, consider having your own energy producing unit in the form of a photovoltaic power plant. Given the non-stop computation, hardware temperature needs to be regulated, and a cooling system should ensure that there are no instances of overheating. If you want to increase the efficiency of your system to mine cryptocurrency, you may consider becoming part of a mining pool. A mining pool is essentially a community of cryptocurrency miners who come together to increase their computing power and generate more income. Among the top bitcoin mining pools include AntPool, BTC.com, BTC.TOP, ViaBTC, and Slush. The fees you need to pay to be part of a mining pool may vary depending on factors such as its payment distribution system and who assumes greater risk (the pool operator or the miners). While the standard fees for being part of a mining pool is 1%, it may vary from 0% to 4%. You need to determine which cryptocurrency you wish to mine before you look for a mining pool, and you can use online tools to determine which ones are the most profitable to mine at any given point in time. Some pools give you the ability to mine two cryptocurrencies at the same time. You may also consider being part of a multi-pool that lets you choose from multiple cryptocurrencies and converts your earnings into bitcoins automatically. Your location plays a role in how well your endeavor goes, because servers located close to where you live tend to make mining for cryptocurrency more efficient. Mining pools also come with Variable Difficulty, or Vardiff, and this feature that regulates the difficulty levels of problem solving. Mining of cryptocurrency is migrating to data centers or colocation hosting environments, mainly because of high power and continuous cooling requirements. Now, you can find data centers that make use of liquid cooling techniques for their high density hardware. ASICMiner serves as a classic example in case – it uses Novec, a new immersion cooling liquid created by 3M especially for data center cooling. Hardware racks are immersed in tanks of Novec, and the liquid cools the heating hardware while turning from liquid to gas. Before turning to a data center to meet your cryptocurrency mining requirements, you should determine your collocation, power, cooling, and security requirements. Take time to compare the cost of electrical power in different states and through different service providers. Since this field is opening up to competition, try to negotiate favorable contracts by approaching more than one service provider. Mining for cryptocurrency is no longer as simple as it was until a decade or so ago. If you plan to go at it on your own, you will need a considerable investment to get high computing power along with suitable cooling. The impact of cryptocurrency mining on data centers is now plain to see, with several coming up solely for this purpose. About the writer: Jon works as a researcher for iCompareFX, a website that gives its visitors easy means to compare the top overseas money transfer companies from different parts of the world. When any information is hard to come by, he goes the mystery shopper way.